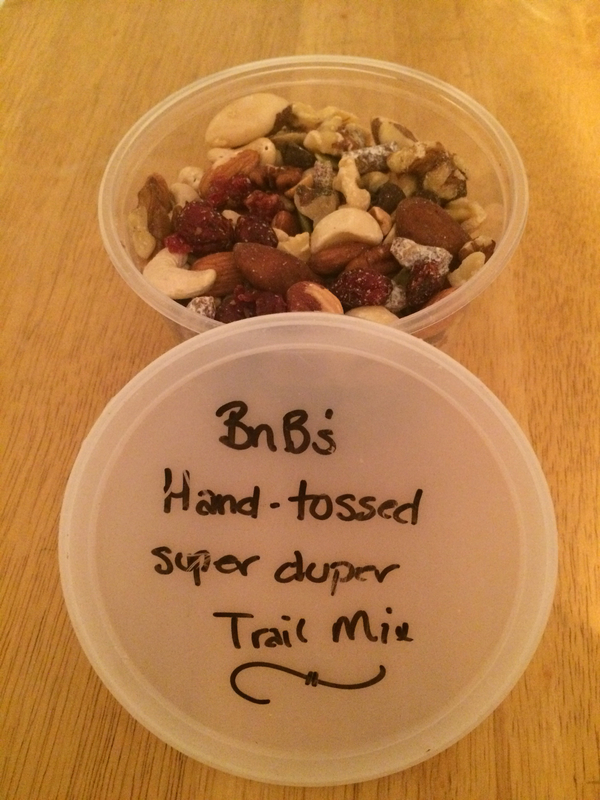 That trail mix looks delish... Now you're definitely ready to roll again. Glad you are enjoying the trail mix. It makes great travel food. And thank you again for dinner last night. It was nice to visit one more time before you head out. Looks like you're all set ... if it were me, I'd have to put a post-it note somewhere to remind myself to take the water bottles out of the freezer. Ride safe.